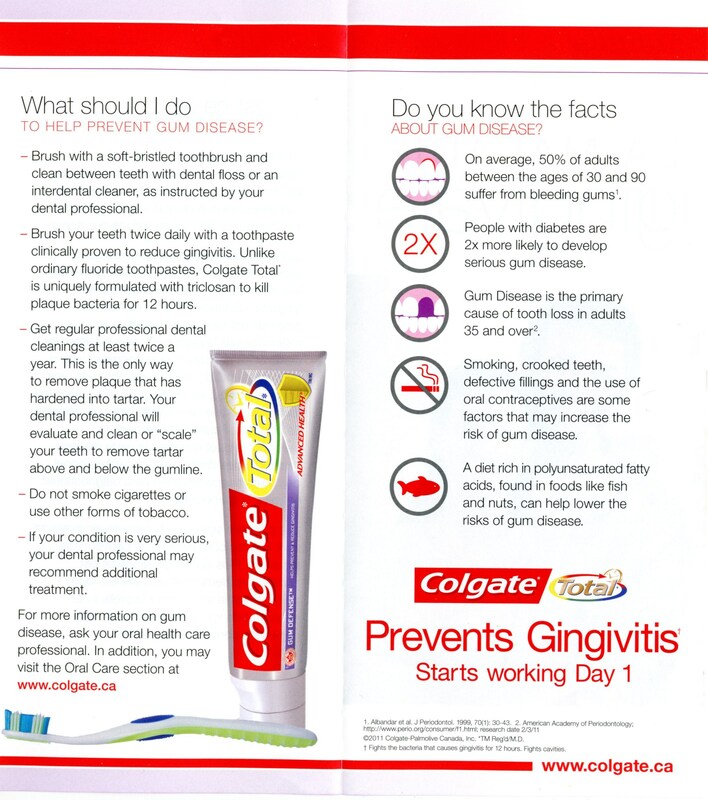 Say No To Oral Disease! 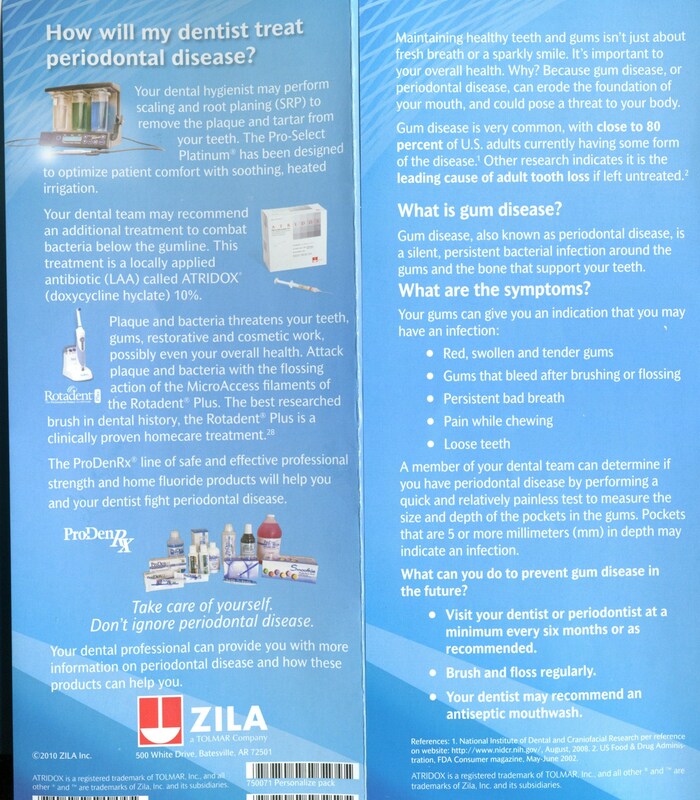 Some take their teeth seriously while others do not give them much attention. This may be due to cost or time or their lack of willingness to go see a Dentist. 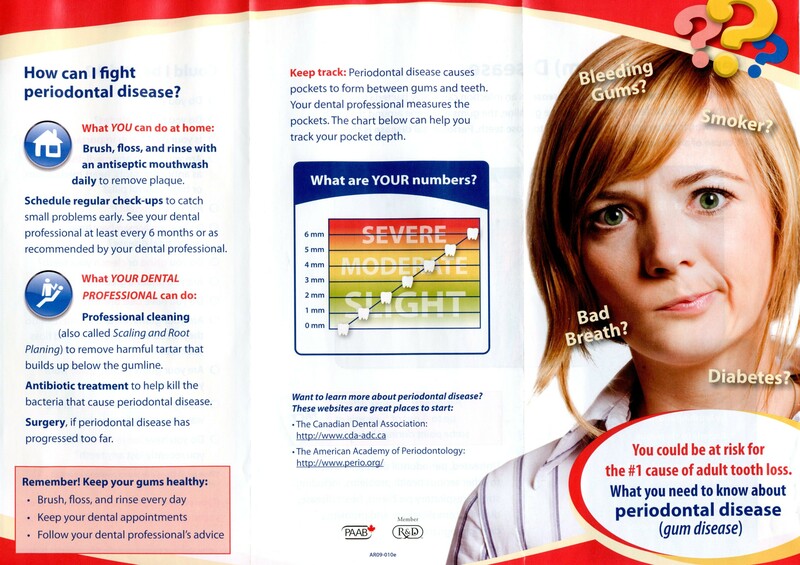 I went to see my dentist this week and met a kind lady who informed of the negative effects of not taking care of your mouth, your teeth, your gum. She was my hygienist. I was provided brochures which I will share with you. I was made aware of the diseases that can happen if you do not take your health seriously. 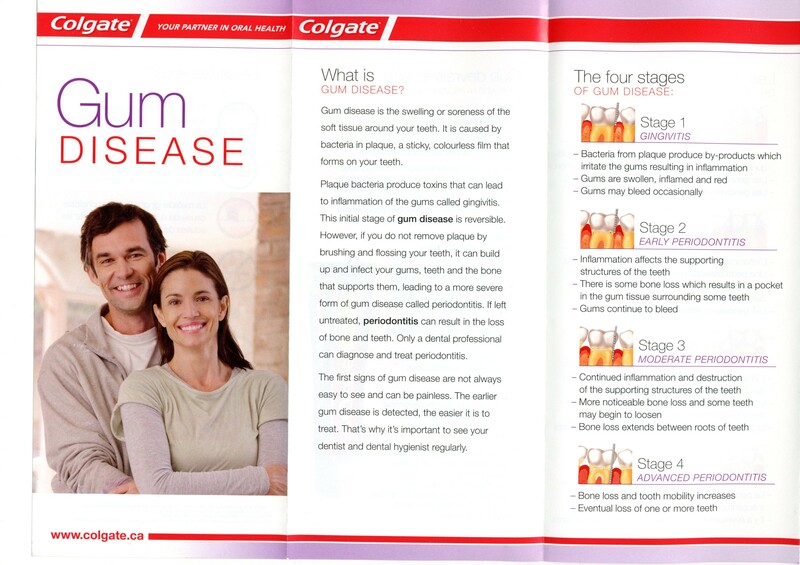 Gum disease is one that is of Essence when it comes to teeth. 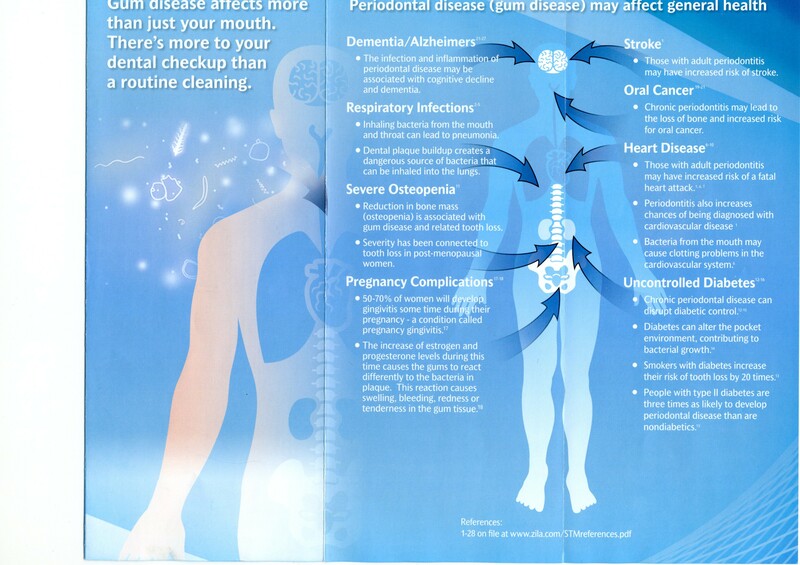 A regular cleaning is essential for our mouth, as without it our teeth will go bad, causing us much bigger problems. 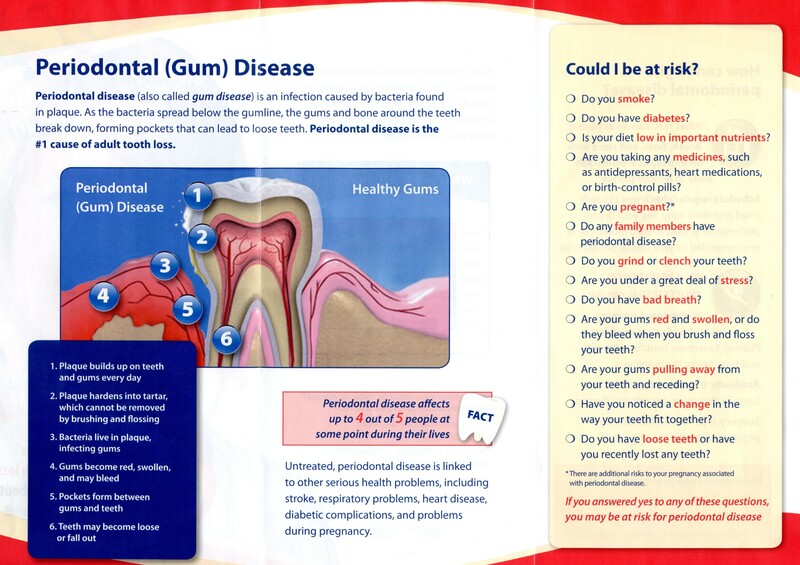 Gum Disease, also known as Periodontal Disease is the number 1 cause of adult tooth loss. 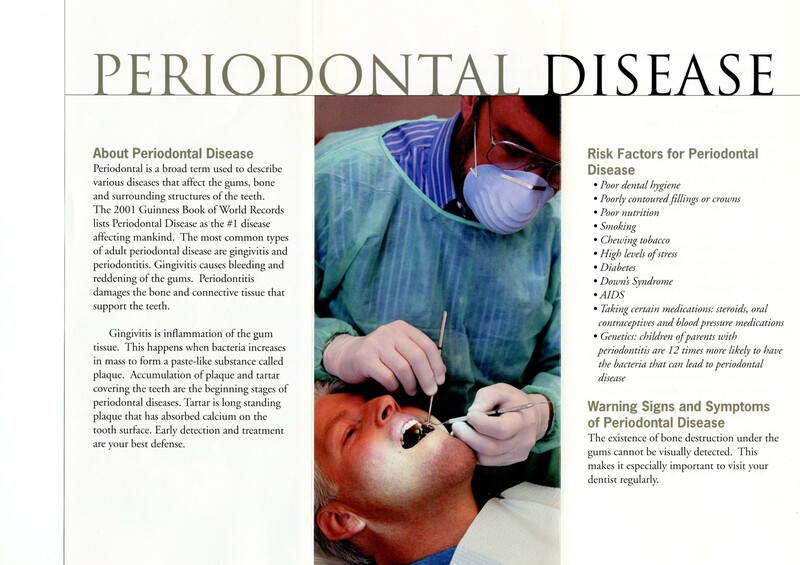 Not only is Periodontal Disease unhealthy for your teeth but can affect a person in so many other unhealthy ways, such as through Dementia/Alzheimer’s, Oral Cancer, Heart Disease, Respiration infections, and more. 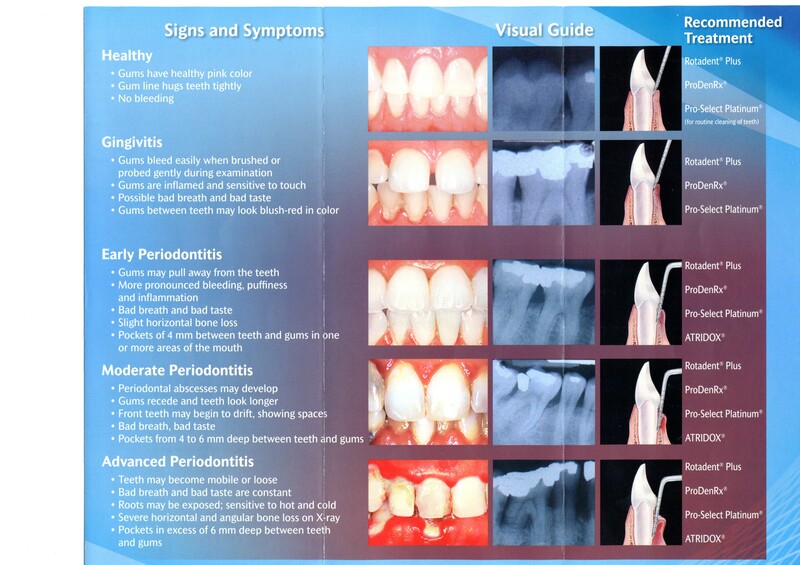 So take this from me, take care of your teeth and follow-up with your dentist at least every 6 months or worse case every 1 year. 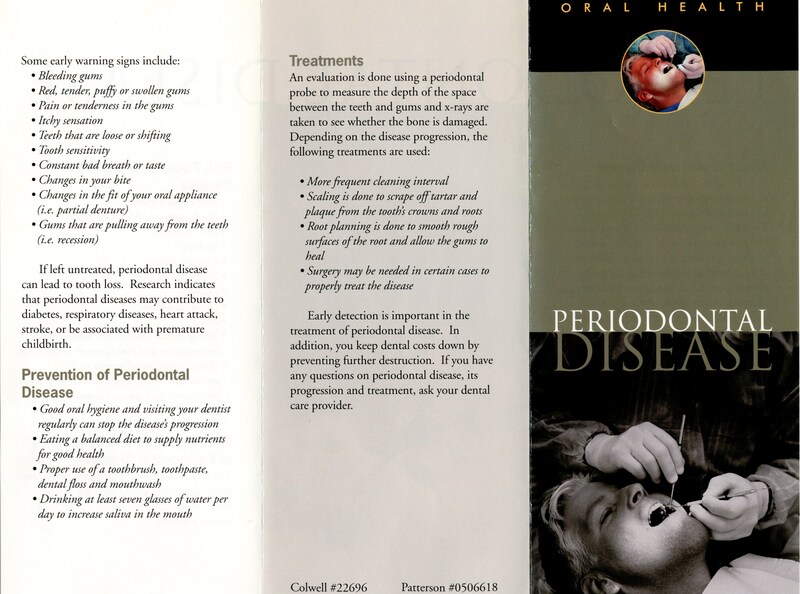 I won’t say too much; Check out these brochures I was given and educate yourself… But before I let you go, note that a velscope test is very important for any patient in order to make sure that you are orally safe and without signs of Oral Cancer, which if detected at an early stage can have the most effective treatment and save your life. Go to http://www.velscope.com/ for more information and watch Dr. Oz as he introduces this Oral Exam.